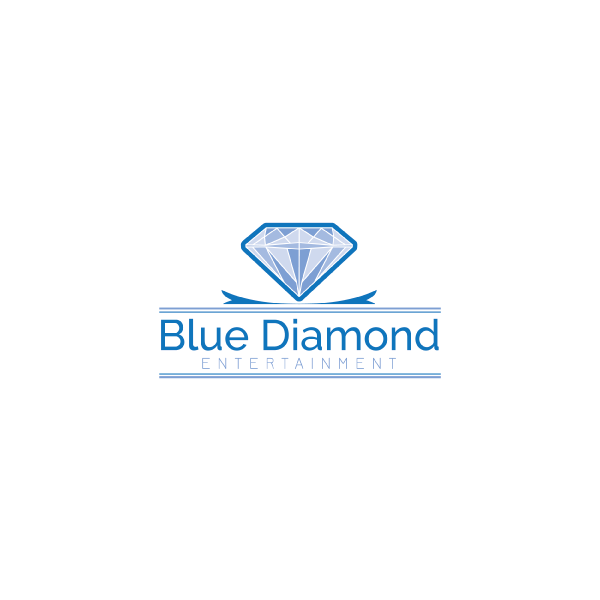 We are a local entertainment company, providing a wide variety of great services to our clients. Our aim is to provide you with a professional and memorable evening whatever your event. 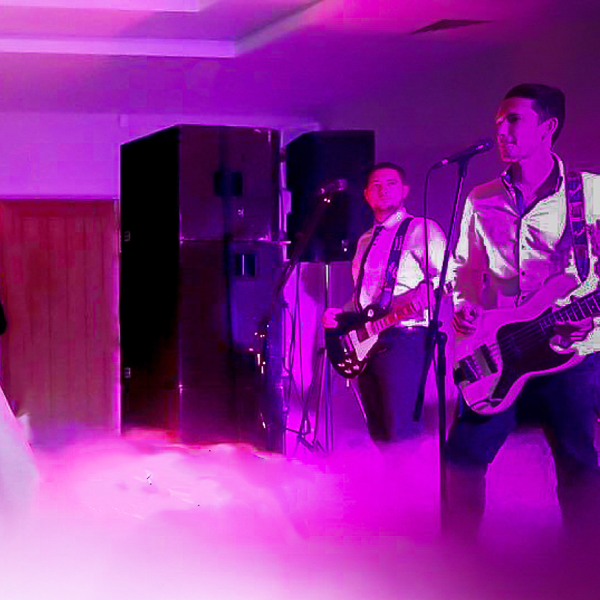 Choosing the right Dj for your party is really important so it is vital you choose a professional well respected company that has been established for a long time, to provide the DJ entertainment. 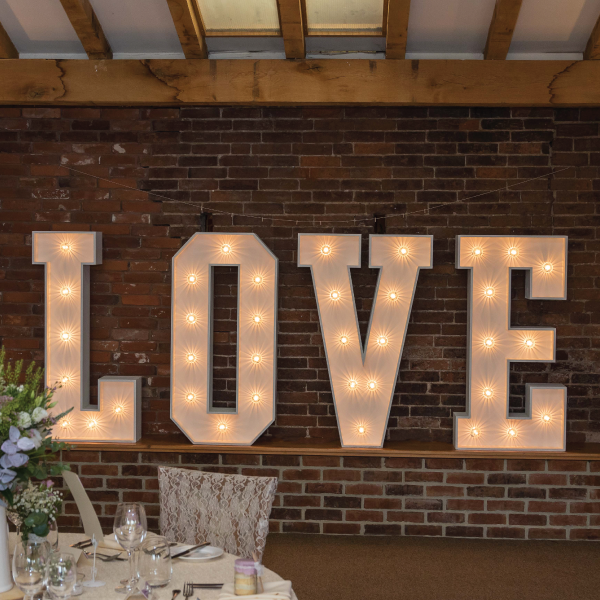 Why not make those photo’s wedding extra special with our set of 4ft Illuminated LOVE Letters. 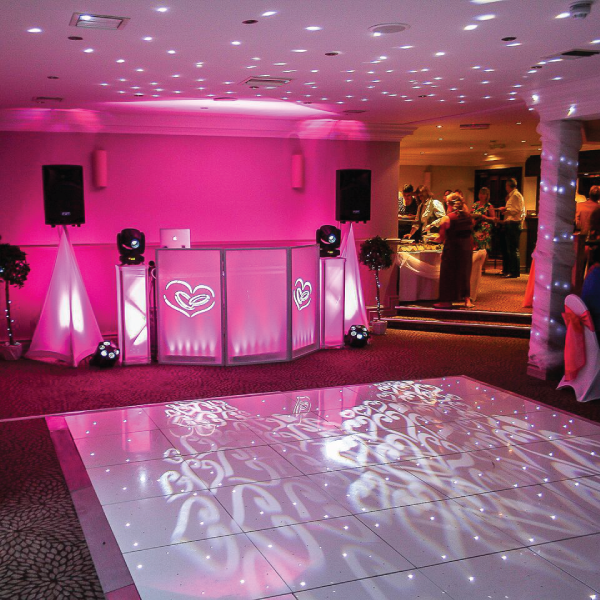 We can provide you with static or rotating projectors for either the dance floor, walls or ceiling. We will design and use a bespoke gobo for your special day. It also makes a nice addition to your wedding photos. 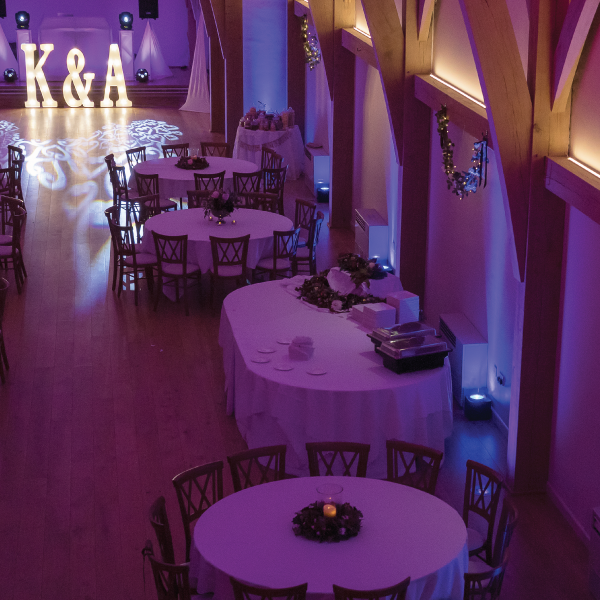 Using the latest technological Led lighting we can transform your venue to suit your chosen colour scheme. 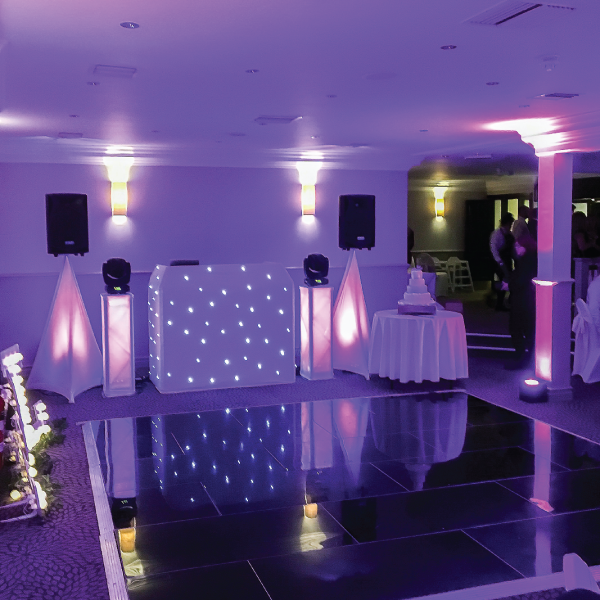 We can provide lighting in 32 different colours and if using a wedding dj package as well we can get an exact colour match from our computer controlled lighting system. 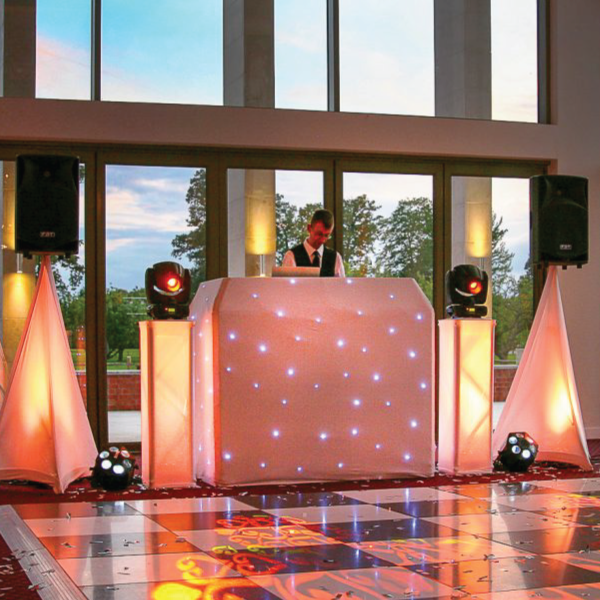 A nice dance floor can add a look of real elegance to your evening reception or party. 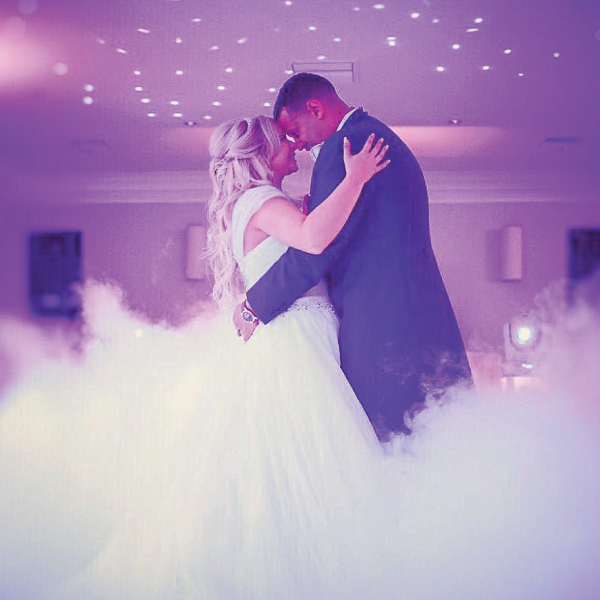 Why not make your first dance extra special with a Blue Diamond Dry Ice Machine Hire. Need a band? We have worked with a few overs the years, Need a recommendation? Please complete the inquiry form or call us to get a quote, check availability, or ask a question.